Excellent quality. Had a little rubber smell, but quickly left. Soft and no pressure during training. Was it the hot yoga, avoid slipping. 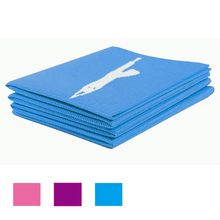 Non-slip mat, soft, krasivenko. I am happy. The carpet was well packed. I have PU l'essayer and it is very comfortable, antiskid, everything I him demandais. I recommend this store and the product. 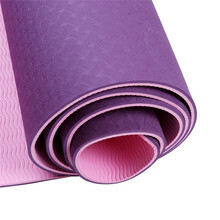 MAT is very good quality non-slip no odor. Satisfied with the purchase. All as I wanted. Thank you! 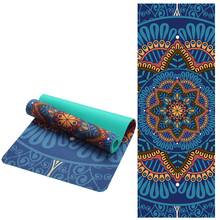 Mat good quality, soft, came a roll, not so packed inner package is not solid. Decent product! Non-slip, not electrified Recommend! Looks good. Иолстый and soft. Mo came in three weeks. How much will be durable remains to be seen. Very good quality, exactly as told in the description. Lovely mat!! Came a no scratch and crack! Do not stick out! Smell is normal! All advice! Nice Packing Very soft & perfect to train.